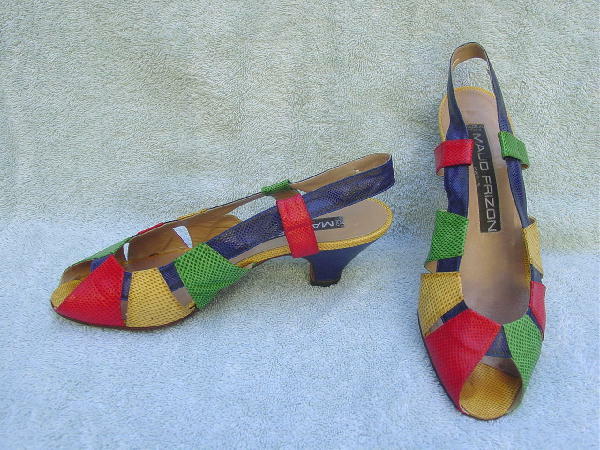 These vintage snakeskin sandals are by Maud Frizon. 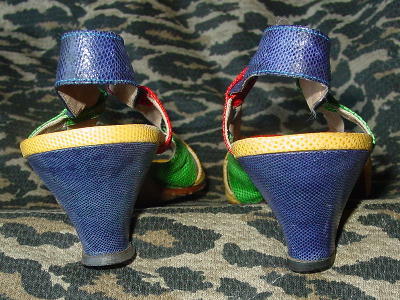 They have open toes, slingbacks, and tan leather linings. 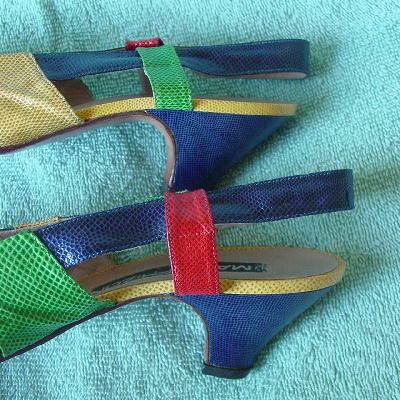 The snakeskin straps are in red, yellow, and green with blue heels and upper strap opening. The heel straps no longer have the elastic heel strap. The shoes have been worn a lot. The shoes say 37, but because the heel elastic is missing, they fit more like a 7 1/2.